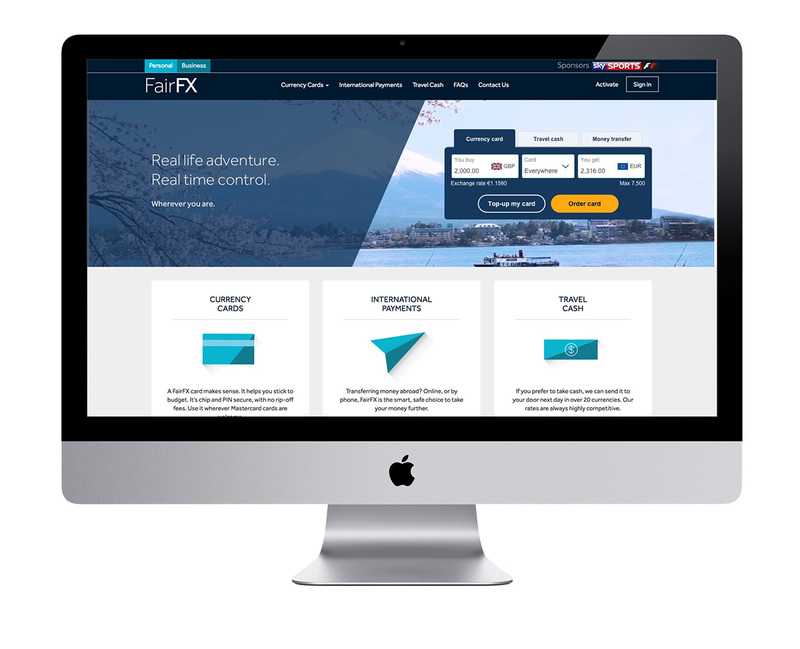 FairFX is an international payment services provider, offering services to customers in the UK since 2007. 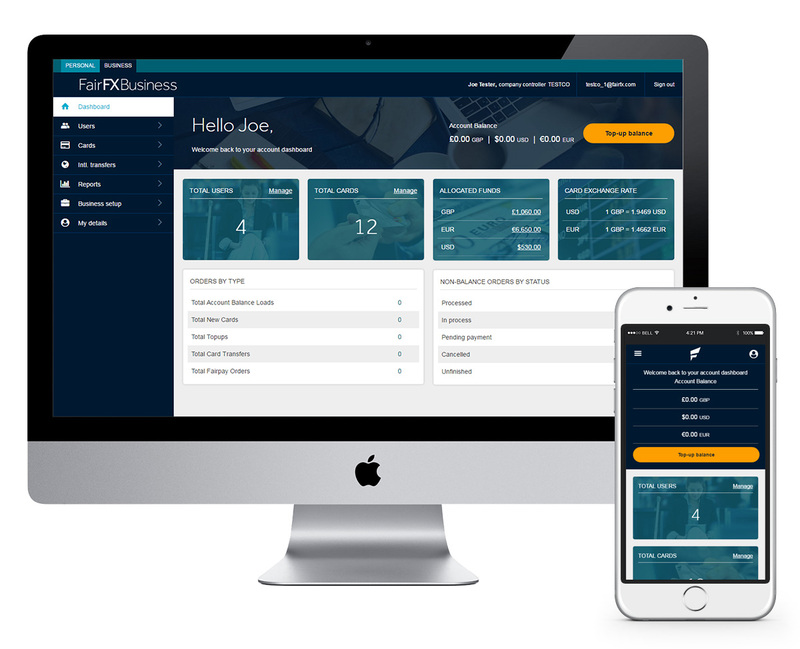 FairFX has developed a cloud-based peer-to-peer payments platform that enables personal and business customers to make easy, low-cost multi-currency payments in a broad range of currencies and countries and across a range of FX products via one integrated system. I was brought on board to work in a senior UX/UI design role working closely with senior team members in product management, technology, marketing and digital analytics throughout the design process. We worked within an agile environment and during technical build there was a close working relationship with the technology teams. 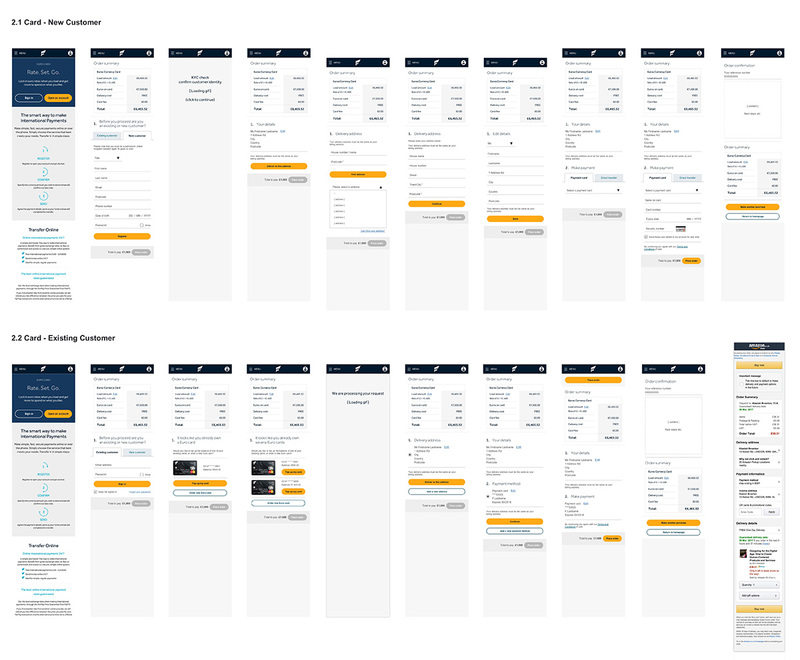 A lot of attention was put towards a test-and-learn approach and we used A/B testing to test and validate the effectiveness of design changes. I was involved in all levels of product design and development from research to implementation in a key role for driving change in FairFX’s digital products that included B2C and B2B applications across web and native app platforms. Daily WIPs and regular presentations to the key stakeholders. 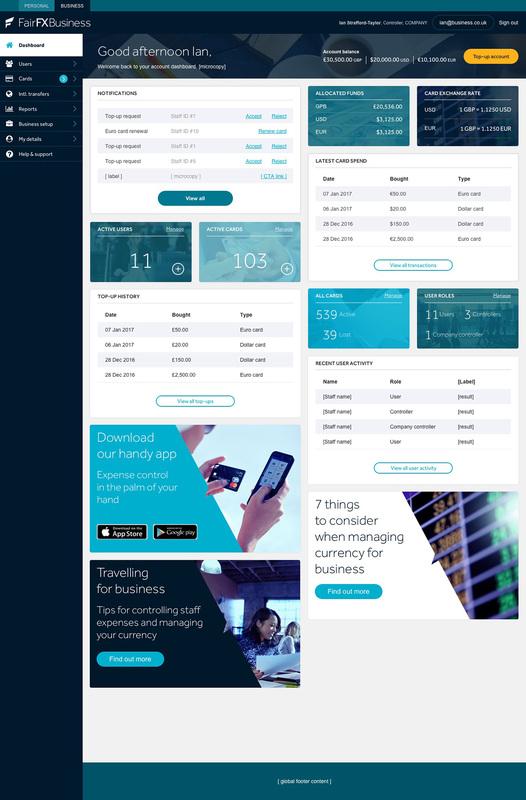 The first project I worked on was to design a new dashboard framework for the corporate expenses platform. This platform allowed business customers to manage their staff company expenses cards with multiple currencies available. As the fastest growing part of the business the existing customer experience was long overdue for an upgrade as well as the development environment it was built on. To begin with there was a research and discovery stage that allowed us to explore a roadmap for the project and foster buy in from stakeholders. 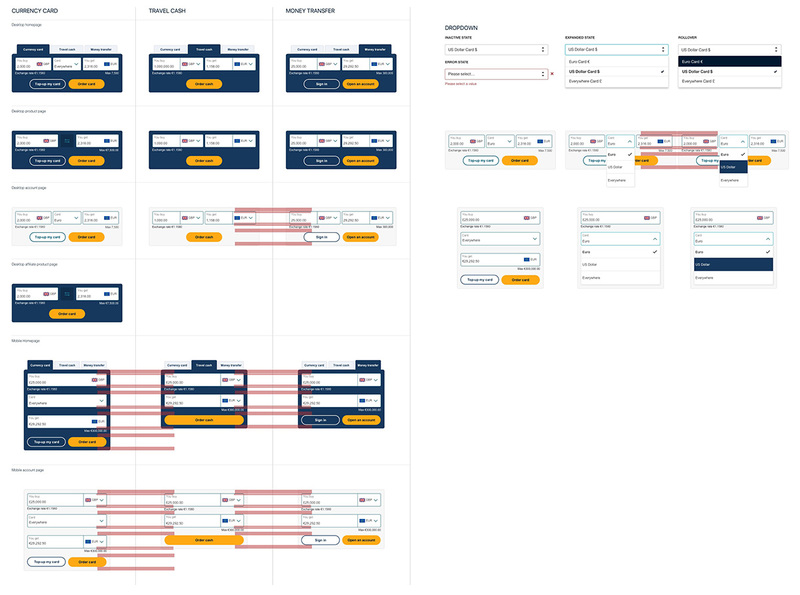 After this “blue sky” design thinking stage I worked closely with the Head of Product and development teams to ensure we delivered a MVP of the new dashboard so we could begin user testing and gather feedback. A key goal was to allow the developers to rebuild the front-end framework from the ground up so they would be able to have a faster delivery timeframe for new updates. Interactive prototypes allowed me to share my iterative designs with all stakeholders and get feedback from the customers services team who worked closely with our corporate clients. This ensured we would be able to scope out the required components and framework to deliver a responsive and intuitive experience. As the business continues to grow there was a need to improve the user experience of the ecommerce funnel for their customers with the goal to deliver on key business metrics including CRO, retention and cross-sell. My particular focus was on the checkout and basket customer journey. My key role was collaborating closely with the Head of Product creating responsive designs with modular components that would be scalable as new products and services were launched. 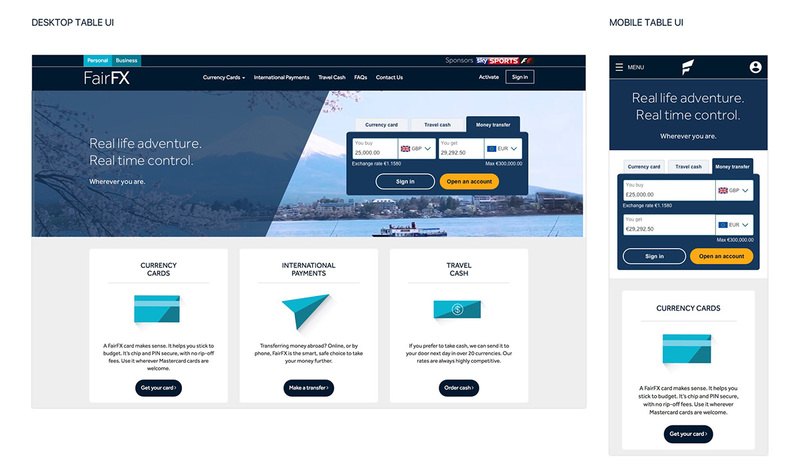 This project consisted of prototyping, A/B testing and designing the many sections and showing the key screens for mobile, tablet and desktop. 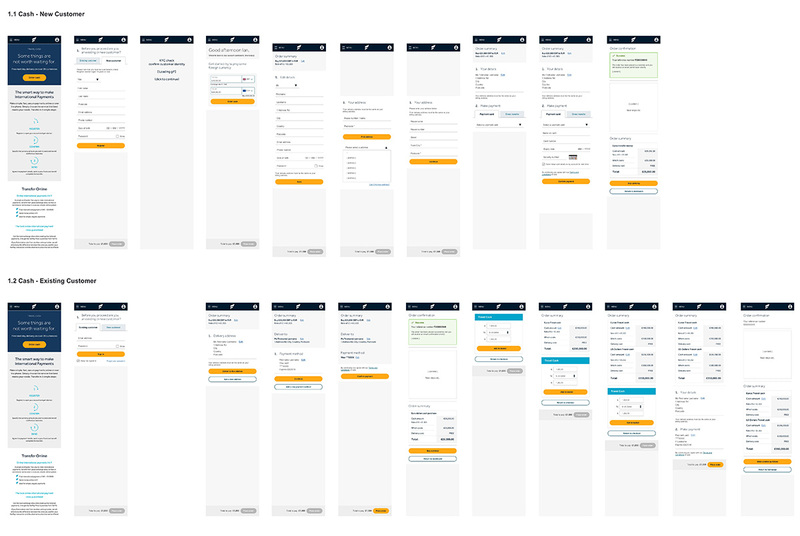 User testing research and reports helped us refine the designs and enhance the user experience as the project developed. I worked on a wide range of digital projects that included B2C and B2B applications across web and native app platforms. I was involved in all levels of product design and development from research to implementation. Responsible for UX/UI design, including improvements on existing applications and new product development. 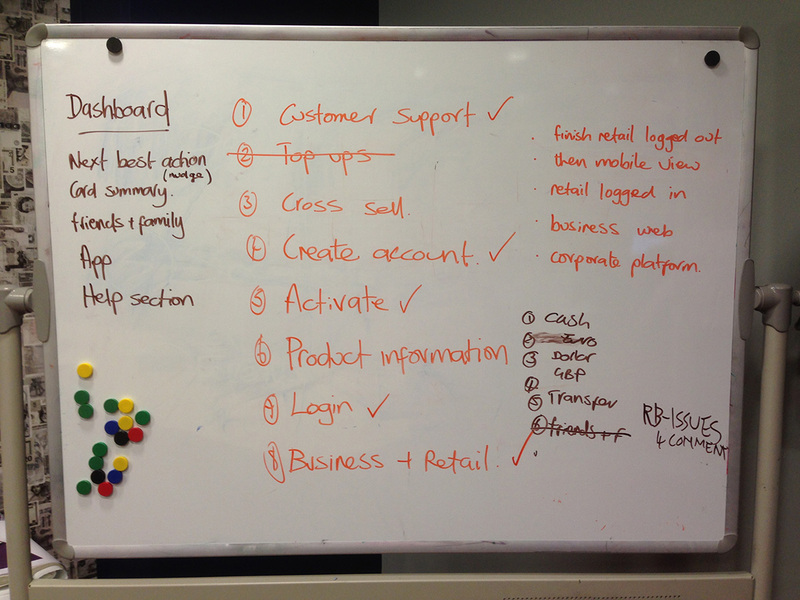 Assisting in gathering requirements to adapt products from legacy systems into the new framework and design rationale.